A video sharing web site, youTube was created by Chad Hurley, Steve Chen and Jawed Karim in 2005 and purchased by Google in 2006. The very first video to be uploaded to youTube in April of 2005, showing founder Jawed Karim at the San Diego Zoo, is embedded at right. Now there are many millions of videos on youTube with billions of viewings each day. 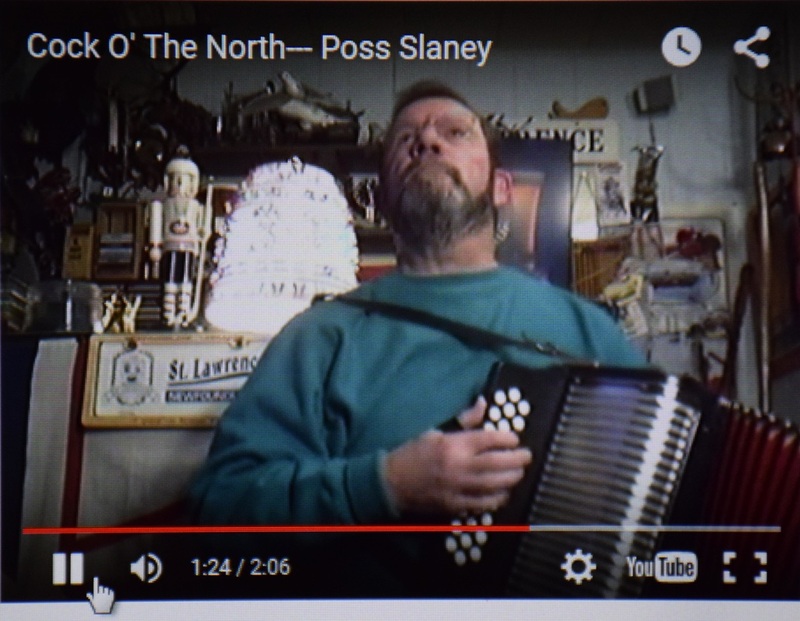 Hundreds of thousands of them (if not millions) are music videos, and vast numbers of them are accordion tunes or are compatible with the button accordion. You can expect to see a large number of these embedded in the pages of this site as an aid to learning the tunes. When you go directly to youTube for a video to view, it will usually have the format shown at right, in which the viewing screen is surrounded by additional information, including comments by other viewers (below the video) and additional choices (on the right). What you see and hear is often dependent on the browser you are using. Here we are using the mid-2015 Mozilla Firefox browser. Some features will not work in older versions or other browsers. click on the right arrow in the center of the video. move the cursor over the screen, and a control panel will appear at the bottom of the embedded screen, as shown in the photo at right. Click on the block on the left of the control panel. If the tune is new to you, you may want to play it a number of times. move the cursor over the screen, and a control panel will appear at the bottom of the embedded screen. Click on the clockwise circular arrow on the left of this panel, as shown in the photo at right, and your video will be repeated. clicking on and moving the volume "slider" to the right (to increase) or left (to decrease) the volume. If you wish to play along with a tune that is too fast for you, you can reduce the play-back speed to 75% or even more to 50%. Unfortunately the quality of the 50% sound is also reduced, especially if multiple instruments or singing are involved. However, it may still be of value in the early stages of learning a new or fast tune. pick the 0.75 or the 0.5 option. Now when you press on the right arrow (or the circular arrow) it will play at reduced speed. Now when you press on the right arrow (or the circular arrow) it will play at normal speed. You may notice other options on the control panel. Feel free to play with them at your leisure. If your screen gets messed up, just refresh your main browser window itself, and start over. 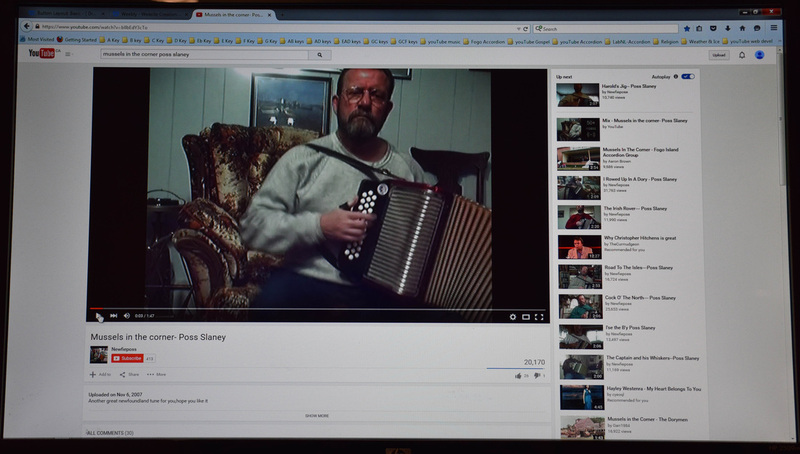 For most tunes, this site embeds several youTube performances in various keys. 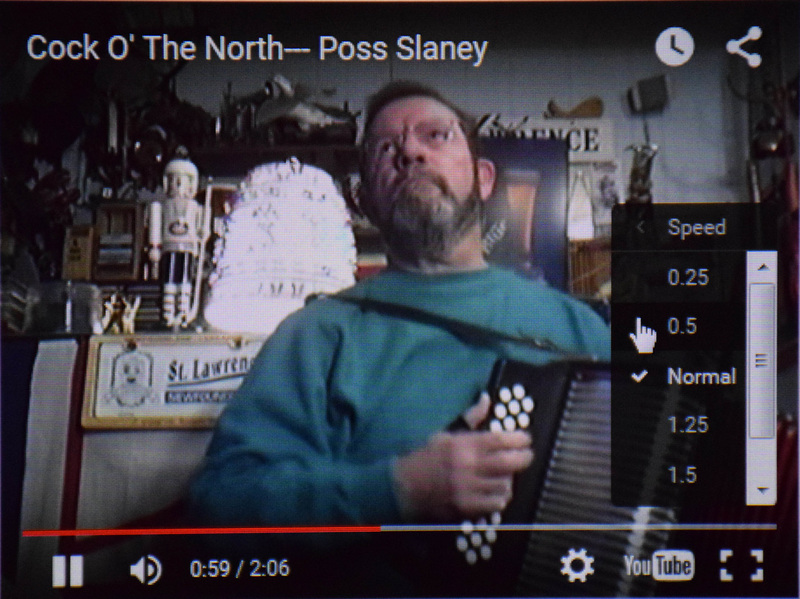 The video at right is one by the Fogo Island accordion group, playing "Auntie Mary" in the key of C. The tempo is quite fast, so you may initially need to cut the speed as much as 50% in order to play along. The music begins at the 20 second point and lasts about 80 seconds. 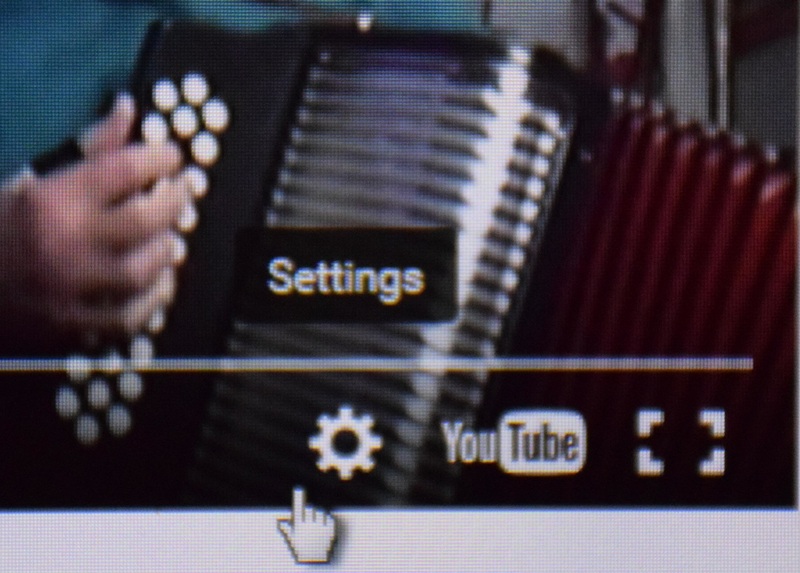 Heads-Up 1: I can't guarantee the accuracy of all the keys that I include for the various youTube videos; I'm still trying to train my "ears" to listen more carefully to the music. Most are OK, but it's possible that a few may be merely "close", and you may find some that are painfully off the mark. 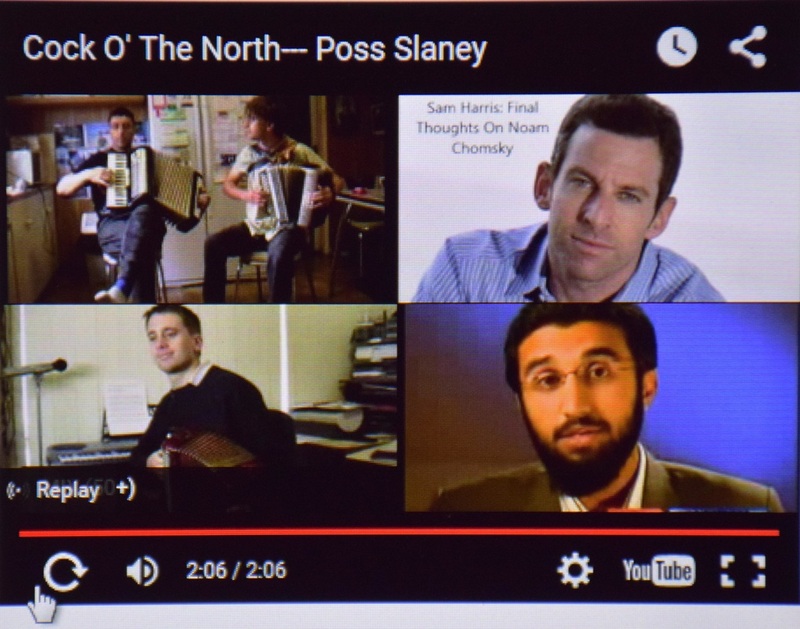 The same can also be said of my attempts to determine the tempo of some youTube performance.